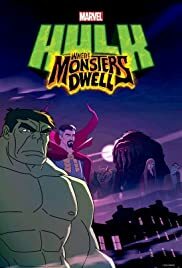 While I am not a fan of superhero movies or Marvel in general, then I still sat down to watch "Hulk: Where Monsters Dwell" because my six year old son do enjoy them. The story in this 2016 animated movie wasn't particularly impressive, and it was actually bordering on being ridiculous in my opinion. My son did enjoy parts of it, but even his interest was failing throughout the course of "Hulk: Where Monsters Dwell". I wasn't particularly much fan of the art and drawing style that they had settled for in this animated movie. 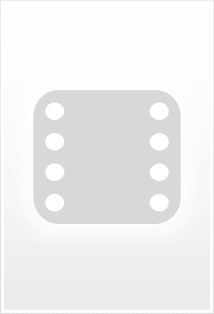 The lines and features were just too prominent and didn't really look good. It just lacked that smooth feel to it that many other animated movies has. And as for the characters in the animated movie, well I am, of course, familiar with Hulk, and somewhat familiar with Doctor Strange (and now do have another chance to watch yet another Marvel movie). I wasn't familiar with Nightmare, but for good reasons. Wow, that character was bad, not just in motivation, but also in dialogue and in everything he did in the movie. For an animated movie to be enjoyable, it needs to have good animation, which this movie really didn't have, and it needs to have a good cast of voice actors and actresses for the various roles. Now, I will say that they people they had cast for the voice acting in "Hulk: Where Monsters Dwell" actually did good jobs. I wasn't impressed with "Hulk: Where Monsters Dwell", but then again, I am not a Marvel fanboy. But even my son, whom enjoy superheroes quite a bit, wasn't colored impressed with this 2016 animated movie either. So I am setting on a four out of ten stars rating for "Hulk: Where Monsters Dwell".